In-car Infotainment systems are becoming must-have technology in the modern cars. Latest car models are embedded in the dashboard and offer navigation, entertainment and phone services via a touch screen. Since technological innovation is happening at faster rate in the automotive industry, there is a demand for secure and seamless integration between a smartphone and car infotainment system. Smartphone Infotainment Integration allows the smartphone screen to find its way on to the infotainment screen. This allows user to access phone features while driving easily. Thanks to Apple and Google for developing connectivity solution Apple CarPlay , Android Auto for this integration. Fast development in smartphone industry is revolutionizing consumers in car expectation. Besides internet connectivity , ability of selecting apps is the feature consumer values the most in the new system. CarPlay is a connectivity solution that casts a familiar iOS interface to the car’s infotainment system display, allowing you to control select apps and your device either with the infotainment screen or your voice. You’ll be able to use your iPhone’s phone and messaging functionality, play your iTunes music, listen to podcasts and navigate using Apple Maps. Third party apps like Pandora, NPR and iHeartRadio are also available. You can control it using Siri, Touchscreen or knobs. Which automobiles are compatible to CarPlay? The first vehicles to support CarPlay includes Ferrari, Mercedes-Benz, and Volvo. A broad range of vehicles from other automakers will soon follow. 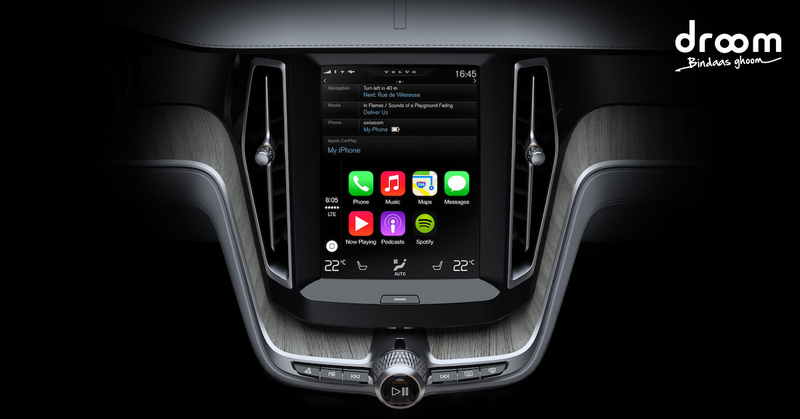 BMW, Ford, General Motors, Honda, Hyundai, Jaguar, Land Rover, Kia, Peugeot, Citroën, Subaru, Suzuki, Toyota, Mitsubishi, and Nissan are a few of the big names expected to integrate CarPlay into upcoming vehicles. Alternative is Google’s Android Auto. It has two advantages: Google Maps and a slicker, Google Now-powered interface. But, Android Auto only works with Android phones. New cars are adopting to these latest technology giving way to Tech giants to foray into Automotive Industry .Future vehicles will be compatible to either iPhone or Android, enabling uninterrupted access to and interaction with smartphone’s ecosystem directly through a dashboard touchscreen.